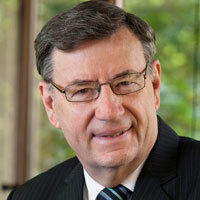 Sandy Grant is the Senior Minister at St Michael's Anglican Church in Wollongong. He recently attended the 2014 General Synod of the Anglican Church of Australia where he put forward a motion on gambling which was passed by the church. He spoke to the ACL's Katherine Spackman about the issue in this interview (click the link below to listen). In this 10 minute package, ACL's Katherine Spackman chats to Tasmanian Anglican Bishop John Harrower and then ACL's Managing Director Lyle Shelton. As part of Refugee week Bishop Harrower has proposed a Tasmanian Solution policy to move offshore processing to Tasmania. He says Tasmania has a track record of being hospitable and it would be cheaper to process in Tasmania then overseas. However, Mr Shelton says if you brought people to Australia it provides an incentive for people smugglers. He says ACL has reluctantly supported offshore processing to break the people smuggling business model which has seen 1100 people die at sea. He says if there are allegations of inhuman treatment at offshore processing it should be investigated and rectified but the act of offshore processing is not inhumane. Dr Glenn Davies is the Anglican Archbishop of Sydney and the Metropolitan of New South Wales. In this interview with the ACL's Katherine Spackman he discusses the Australian Anglican Archbishops recent media release expressing concern about children in detention and asylum seekers. The outgoing Anglican Archbishop of Canterbury Rowan Williams is to be replaced by the Bishop of Durham, Justin Welby. Archbishop of Canberra Goulburn Diocese Stuart Robinson spoke with ACL's Daniel Simon about the Bishop Welby's appointment. David Ould is a blogger and Anglican Minister at St Augustine's in Neutral Bay in Sydney. He spoke to the ACL's Daniel Simon about the Reformation as we remember Reformation Day on October 31.